The following is a list of notable galaxies. There are about 50 galaxies in our Local Group (see list of nearest galaxies for a complete list), on the order of 100,000 in our Local Super-cluster and an estimated number of about 170 billion in all of the observable universe. The discovery of the nature of galaxies as distinct from other nebulae (interstellar clouds) was made in the 1920s. The first attempts at systematic catalogues of galaxies were made in the 1960 the Catalogue of Galaxies and Clusters of Galaxies listing 29,418 galaxies and galaxy clusters, and with the Morphological Catalogue of Galaxies, a putatively complete list of galaxies with photographic magnitude above 15 comprising 30,642 items. In the 1980s, the Lyons Groups of Galaxies listed 485 galaxy groups with 3,933 member galaxies. Galaxy Zoo is a project aiming at a more comprehensive list; launched in 2007 it catalogued some 50 million galaxies by 2011 (some 0.03% of the estimated total). This is a list of galaxies that are well known by something other than an entry in a catalog or list, or a set of coordinates, or a systematic designation. Milky Way Sagittarius(centre) This is the galaxy that contains Earth, it is named after the nebulosity in the night sky that marks the densest concentration of stars of our galaxy in the sky, which appears to blur together into a faint glow, called the Milky Way. Andromeda Andromeda Commonly just Andromeda, this, called the Andromeda Galaxy, Andromeda Nebula, Great Andromeda Nebula, Andromeda Spiral Nebula, and such, has been traditionally called Andromeda, after the constellation in which it lies. Bode’s Galaxy Ursa Major Named for Johann Elert Bode who discovered this galaxy in 1774. Cartwheel Galaxy Sculptor Its visual appearance is similar to that of a spoked cartwheel. Cigar Galaxy Ursa Major Appears similar in shape to a cigar. Comet Galaxy Sculptor This galaxy is named after its unusual appearance, looking like a comet. The comet effect is caused by tidal stripping by its galaxy cluster,Abell 2667. Hoag’s Object Serpens Caput This is named after Art Hoag, who discovered this ring galaxy. It is of the subtype Hoag-type galaxy, and may in fact be a polar-ring galaxy with the ring in the plane of rotation of the central object. Large Magellanic Cloud Dorado/Mensa Named after Ferdinand Magellan This is the fourth largest galaxy in the Local Group, and forms a pair with the SMC, and from recent research, may not be part of the Milky Way system of satellites at all. Small Magellanic Cloud Tucana Named after Ferdinand Magellan This forms a pair with the LMC, and from recent research, may not be part of the Milky Way system of satellites at all. Mayall’s Object Ursa Major This is named after Nicholas U. Mayall, of the Lick Observatory, who discovered it. Also called VV 32 and Arp 148, this is a very peculiar looking object, and is likely to be not one galaxy, but two galaxies undergoing a collision. Event in images is a spindle shape and a ring shape. Pinwheel Galaxy Ursa Major Similar in appearance to a pinwheel (toy). Sombrero Galaxy Virgo Similar in appearance to a sombrero. Tadpole Galaxy Draco The name comes from the resemblance of the galaxy to a tadpole. This shape resulted from tidal interaction that drew out a long tidal tail. Whirlpool Galaxy Canes Venatici From the whirlpool appearance this gravitationally disturbed galaxy exhibits. This is a list of galaxies that are visible to the naked-eye, for at the very least, keen-eyed observers in a very dark-sky environment that is high in altitude, during clear and stable weather. Milky Way -26.74 (≈ (theSun)) 0 Sagittarius(centre) This is our galaxy, most things visible to the naked-eye in the sky are part of it, including the Milky Waycomposing the Zone of Avoidance. Large Magellanic Cloud 0.9 160 kly (50 kpc) Dorado/Mensa Visible only from the southern hemisphere. It is also the brightest patch of nebulosity in the sky. Small Magellanic Cloud (NGC292) 2.7 200 kly (60 kpc) Tucana Visible only from the southern hemisphere. Andromeda Galaxy(M31, NGC224) 3.4 2.5 Mly (780 kpc) Andromeda Once called the Great Andromeda Nebula, it is situated in the Andromeda constellation. Omega Centauri(NGC5139) 3.7 18 kly (5.5 kpc) Centaurus Once thought to be a star and later a globular cluster, Omega Centauri was confirmed as having a black hole at its center and thus its status has been changed to being a dwarf galaxy as of April 2010. Triangulum Galaxy(M33, NGC598) 5.7 2.9 Mly (900 kpc) Triangulum Being a diffuse object, its visibility is strongly affected by even small amounts of light pollution, ranging from easily visible in direct vision in truly dark skies to a difficult averted vision object in rural/suburban skies. Bode’s Galaxy(M81, NGC3031) 7.89 12 Mly (3.6 Mpc) Ursa Major Highly experienced amateur astronomers may be able to see Messier 81 under exceptional observing conditions. Sculptor Galaxy(NGC 253) 8.0 11.4 ± 0.7 Mly (3.5 ± 0.2 Mpc) Sculptor According to Brian A. Skiff, the naked-eye visibility of this galaxy is discussed in an old Sky & Telescope letter or note from the late 1960s or early 1970s. Messier 83 (NGC 5236) 8.2 14.7 Mly (4.5 Mpc) Hydra M83 has reportedly been seen with the naked eye. First galaxy Milky Way Galaxy &Andromeda Galaxy Sagittarius (centre) & Andromeda 1923 Edwin Hubble determined the distance to the Andromeda Nebula, and found that it could not be part of the Milky Way, so defining that Milky Way was not the entire universe, and making the two separate objects, and two galaxies. However, the first galaxies seen would be all of the naked-eye galaxies, but they were not identified as such until the 20th century. First radio galaxy Cygnus A Cygnus 1952 Of several items, then called radio stars, Cygnus A was identified with a distant galaxy, being the first of many radio stars to become a radio galaxy. 1960 3C273 was the first quasar with its redshift determined, and by some considered the first quasar. 3C48 was the first “radio-star” with an unreadable spectrum, and by others considered the first quasar. First Seyfert galaxy NGC 1068(M77) Cetus 1908 The characteristics of Seyfert galaxies were first observed in M77 in 1908, however, Seyferts were defined as a class in 1943. First low-surface-brightness galaxy Malin 1 Coma Berenices 1986 Malin 1 was the first verified LSB galaxy. LSB galaxies had been first theorized in 1976. First discovered object, later identified to be a cannibalized galaxy Omega Centauri Centaurus 1677 Omega Centauri is considered the core of a disrupted dwarf spheroidal galaxy cannibalized by the Milky Way, and was originally catalogued in 1677 as a nebula. It is currently catalogued as a globular cluster. First spiral galaxy Whirlpool Galaxy Canes Venatici 1845 Lord William Parsons, Earl of Rosse discovered the first spiral nebula from observing the M51 white nebula. BL Lac object BL Lacertae (BL Lac) Lacerta This AGN was originally catalogued as a variable star, and “stars” of its type are considered BL Lac objects. Closest neighbouring galaxy Canis Major Dwarf Canis Major 0.025 Mly Discovered in 2003, a satellite of the Milky Way, slowly being cannibalized by it. Closest quasar 3C 273 Virgo z=0.158 First identified quasar, this is the most commonly accepted nearest quasar. Most distant quasar ULAS J1120+0641 Leo z=7.085 Discovered in June 29, 2011 via UKIRT Infrared Deep Sky Survey; first quasar discovered beyond theredshift of 7. Closest Seyfert galaxy Circinus Galaxy Circinus 13 Mly This is also the closest Seyfert 2 galaxy. The closest Seyfert 1 galaxy is NGC 4151. Closest blazar Markarian 421 (Mrk 421, Mkn 421, PKS 1101+384, LEDA 33452) Ursa Major z=0.030 This is a BL Lac object. Most distant blazar Q0906+6930 Ursa Major z=5.47 This is a flat spectrum radio-loud quasar type blazar. 1 Milky Way Galaxy 0 This is our galaxy, we are part of it. Mly represents millions of light-years, a measure of distance. Distances are measured from Earth, with Earth being at zero. Large Magellanic Cloud antiquity − 1994 0.163 Mly This is the upper bound, as it is nearest galaxy observable with the naked-eye. Small Magellanic Cloud 1913–1914 This was the first intergalactic distance measured. In 1913, Ejnar Hertzsprung measures the distance to SMC usingCepheid variables. In 1914, he did it for LMC. Andromeda Galaxy 1923 This was the first galaxy determined to be not part of the Milky Way. Most remote quasar ULAS J1120+0641 2011 z=7.085 This is the undisputed most remote quasar of any type, and the first with a redshiftbeyond 7. IOK-1 2006 − 2010 z=6.96 This was the remotest object known at time of discovery. In 2009, gamma ray burst GRB 090423 was discovered at z=8.2, taking the title of most distant object. The next galaxy to hold the title also succeeded GRB 090423, that being UDFy-38135539. SDF J132522.3+273520 2005 − 2006 z=6.597 This was the remotest object known at time of discovery. SDF J132418.3+271455 2003 − 2005 z=6.578 This was the remotest object known at time of discovery. HDF 4-473.0 1998 − 1999 z=5.60 This was the remotest object known at the time of discovery. RD1 (0140+326 RD1) 1998 z=5.34 This was the remotest object known at time of discovery. This was the first object found beyond redshift 5. From 1964 to 1997, the title of most distant object in the universe were held by a succession of quasars. That list is available at list of quasars. 8C 1435+63 1994 − 1997 z=4.25 This is a radio galaxy. At the time of its discovery, quasar PC 1247-3406 at z=4.73, discovered in 1991 was the most remote object known. This was the last radio galaxy to hold the title of most distant galaxy. This was the first galaxy, as opposed to quasar, that was found beyond redshift 4. 1 Jy 0902+343 (GB6 B0902+3419, B2 0902+34) 1988 − 1990 z=3.395 This is a radio galaxy. At the time of discovery, quasar Q0051-279 at z=4.43, discovered in 1987, was the most remote object known. In 1989, quasar PC 1158+4635 was discovered at z=4.73, making it the most remote object known. This was the first galaxy discovered above redshift 3. It was also the first galaxy found above redshift 2. 3C 256 1984 − 1988 z=1.819 This is a radio galaxy. At the time, the most remote object was quasar PKS 2000-330, at z=3.78, found in 1982. 3C 241 1984 z=1.617 This is a radio galaxy. At the time, the most remote object was quasar PKS 2000-330, at z=3.78, found in 1982. 3C 324 1983 − 1984 z=1.206 This is a radio galaxy. At the time, the most remote object was quasar PKS 2000-330, at z=3.78, found in 1982. 3C 65 1982 − 1983 z=1.176 This is a radio galaxy. At the time, the most remote object was quasar OQ172, at z=3.53, found in 1974. In 1982, quasarPKS 2000-330 at z=3.78 became the most remote object. 3C 368 1982 z=1.132 This is a radio galaxy. At the time, the most remote object was quasar OQ172, at z=3.53, found in 1974. 3C 252 1981 − 1982 z=1.105 This is a radio galaxy. At the time, the most remote object was quasar OQ172, at z=3.53, found in 1974. 3C 6.1 1979 – z=0.840 This is a radio galaxy. At the time, the most remote object was quasar OQ172, at z=3.53, found in 1974. 3C 318 1976 – 0.752 This is a radio galaxy. At the time, the most remote object was quasar OQ172, at z=3.53, found in 1974. 3C 411 1975 – 0.469 This is a radio galaxy. At the time, the most remote object was quasar OQ172, at z=3.53, found in 1974. 3C 295 1960 – z=0.461 This is a radio galaxy. This was the remotest object known at time of discovery of its redshift. This was the last non-quasar to hold the title of most distant object known until 1997. In 1964, quasar 3C 147 became the most distant object in the universe known. (V=61000 km/s) This galaxy lies in the Hydra Supercluster. It is located at B1950.0 08h 55m 4s +03° 21′ and is the BCG of the fainter Hydra Cluster Cl 0855+0321 (ACO 732). (V=39000 km/s) The brightest cluster galaxy of the Bootes cluster (ACO 1930), an elliptical galaxy at B1950.0 14h 30m 6s +31° 46′apparent magnitude 17.8, was found by Milton L. Humason in 1936 to have a 40,000 km/s recessional redshift velocity. (V=3779 km/s) Using redshift measurements, NGC 7619 was the highest at the time of measurement. At the time of announcement, it was not yet accepted as a general guide to distance, however, later in the year, Edwin Hubble described redshift in relation to distance, leading to a seachange, and having this being accepted as an inferred distance. (V=1800 km/s) At the time, nebula had yet to be accepted as independent galaxies. However, in 1923, galaxies were generally recognized as external to the Milky Way. (V=1180 km/s) This was the second galaxy whose redshift was determined; the first being Andromeda – which is approaching us and thus cannot have its redshift used to infer distance. Both were measured by Vesto Melvin Slipher. At this time, nebula had yet to be accepted as independent galaxies. NGC 4594 was originally measured as 1000 km/s, then refined to 1100, and then to 1180 in 1916. 11.8 Mly (z=-0.10) This is the lower bound, as it is remotest galaxy observable with the naked-eye. It is 12 million light-years away. Redshift cannot be used to infer distance, because it’s moving toward us faster than cosmological expansion. Messier 101 1930 – Using the pre-1950s Cepheid measurements, M101 was one of the most distant so measured. Triangulum Galaxy 1924–1930 In 1924, Edwin Hubble announced the distance to M33 Triangulum. Andromeda Galaxy 1923–1924 In 1923, Edwin Hubble measured the distance to Andromeda, and settled the question whether there were galaxies, or was everything in the Milky Way. Small Magellanic Cloud 1913–1923 This was the first intergalactic distance measured. In 1913, Ejnar Hertzsprung measures the distance to SMC usingCepheid variables. A1689-zD1, discovered in 2008, with z=7.6, does not appear on this list because it has not been confirmed with a spectroscopic redshift. Abell 68 c1 and Abell 2219 c1, discovered in 2007, with z=9, do not appear on this list because they have not been confirmed. IOK4 and IOK5, discovered in 2007, with z=7, do not appear on this list because they have not been confirmed with a spectroscopic redshift. Abell 1835 IR1916, discovered in 2004, with z=10.0, does not appear on this list because its claimed redshift is disputed. Some follow-up observations have failed to find the object at all. STIS 123627+621755, discovered in 1999, with z=6.68, does not appear on this list because its redshift was based on an erroneous interpretation of an oxygen emission line as a hydrogen emission line. In 1986, a gravitationally lensed galaxy forming a blue arc was found lensed by galaxy cluster CL 2224-02 (C12224 in some references). However, its redshift was only determined in 1991, at z=2.237, by which time, it would no longer be the most distant galaxy. Apparently brightest galaxy Baby Boom Galaxy Starburst galaxy located in the very distant universe. Intrinsically brightest galaxy Absolute magnitude Markarian 231 is the most luminous nearby galaxy (~590 Mly; apmag 13.8). Intrinsically faintest galaxy Boötes Dwarf Galaxy (Boo dSph) Absolute magnitude -6.75 This does not include dark galaxies. Visually brightest galaxy Large Magellanic Cloud Apparent magnitude 0.6 This galaxy has high surface brightness combined with high apparent brightness. Least massive galaxy Segue 2 ~150,000 MSun This is not considered a star cluster, as it is held together by the gravitational effects of dark matter rather than just the mutual attraction of the constituent stars, gas and black holes. Most massive galaxy ESO 146-IG 005 ~30×1012 MSun Central galaxy in Abell 3827, 1.4 Gly distant. Most dense galaxy M60-UCD1 This is an ultra-compact dwarf galaxy near Messier 60, and is suspected to be the stripped core remnant of a much larger galaxy. The Magellanic Clouds are being tidally disrupted by the Milky Way Galaxy, resulting in the Magellanic Stream drawing a tidal tail away from the LMC and SMC, and the Magellanic Bridge drawing material from the clouds to our galaxy. The smaller galaxy NGC 5195 is tidally interacting with the larger Whirlpool Galaxy, creating its grand design spiral galaxy architecture. These three galaxies interact with each other and draw out tidal tails, which are dense enough to form star clusters. The bridge of gas between these galaxies is known as Arp’s Loop. 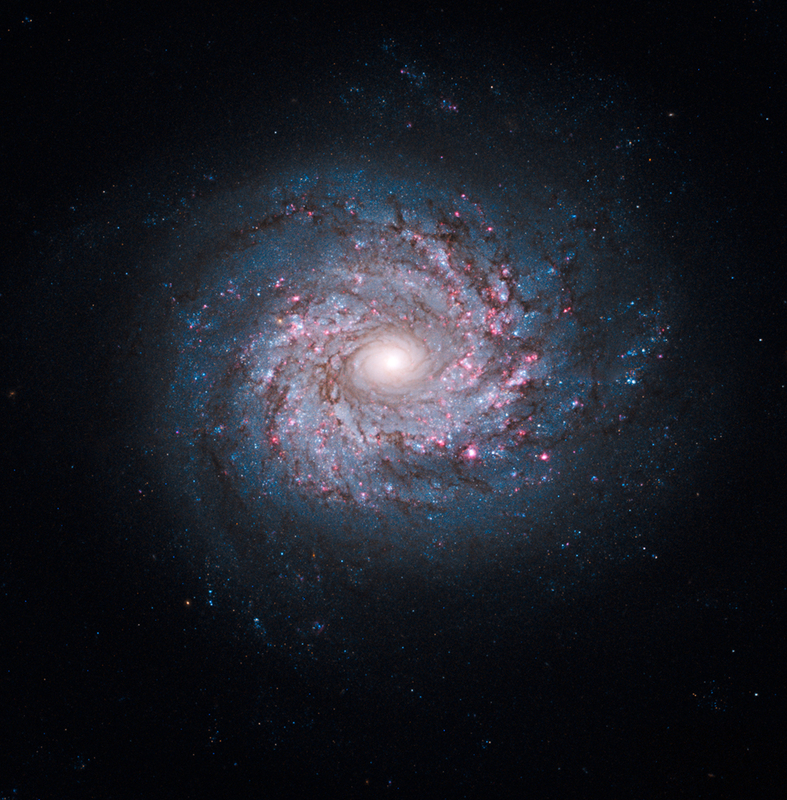 NGC 6872 is a barred spiral galaxy with a grand design spiral nucleus, and distinct well-formed outer barred-spiral architecture, caused by tidal interaction with satellite galaxy IC 4970. Tadpole Galaxy The Tadpole Galaxy tidally interacted with another galaxy in a close encounter, and remains slightly disrupted, with a long tidal tail. Arp 299 (NGC 3690 & IC 694) These two galaxies have recently collided and are now both barred irregular galaxies. Mayall’s Object This is a pair of galaxies, one which punched through the other, resulting in a ring galaxy. Antennae Galaxies (Ringtail Galaxy, NGC 4038 & NGC 4039, Arp 244) 2 galaxies Two spiral galaxies currently starting a collision, tidally interacting, and in the process of merger. Butterfly Galaxies (Siamese Twins Galaxies,NGC 4567 & NGC 4568) 2 galaxies Two spiral galaxies in the process of starting to merge. Mice Galaxies (NGC 4676, NGC 4676A &NGC 4676B, IC 819 & IC 820, Arp 242) 2 galaxies Two spiral galaxies currently tidally interacting and in the process of merger. NGC 520 2 galaxies Two spiral galaxies undergoing collision, in the process of merger. NGC 2207 and IC 2163 (NGC 2207 & IC 2163) 2 galaxies These are two spiral galaxies starting to collide, in the process of merger. NGC 5090 and NGC 5091 (NGC 5090 & NGC 5091) 2 galaxies These two galaxies are in the process of colliding and merging. Four galaxies in CL0958+4702 4 galaxies These four near-equals at the core of galaxy cluster CL 0958+4702 are in the process of merging. Starfish Galaxy (NGC 6240, IC 4625) This recently coalesced galaxy still has two prominent nuclei. Canis Major Dwarf Galaxy Milky Way Galaxy The Monoceros Ring is thought to be the tidal tail of the disrupted CMa dg. Virgo Stellar Stream Milky Way Galaxy This is thought to be a completely disrupted dwarf galaxy. Sagittarius Dwarf Elliptical Galaxy Milky Way Galaxy M54 is thought to the be core of this dwarf galaxy. Omega Centauri Milky Way Galaxy This is now categorized a globular cluster of the Milky Way. However, it is considered the core of a dwarf galaxy that the Milky Way cannibalized. Mayall II Andromeda Galaxy This is now categorized a globular cluster of Andromeda. However, it is considered the core of a dwarf galaxy that Andromeda cannibalized. M82 Ursa Major Also called the Cigar Galaxy. This is the prototype starburst galaxy. M102 Draco (Ursa Major) This galaxy cannot be definitively identified, with the most likely candidate being NGC 5866, and a good chance of it being a misidentification of M101. Other candidates have also been suggested. NGC 2770 Lynx “Supernova Factory” NGC 2770 is referred to as the “Supernova Factory” due to three recent supernovae occurring within it. NGC 3314 (NGC 3314a and NGC 3314b) Hydra exact visual alignment This is a pair of spiral galaxies, one superimposed on another, at two separate and distinct ranges, and unrelated to each other. It is a rare chance visual alignment. ESO 137-001 Triangulum Australe “tail” feature Lying in the galaxy cluster Abell 3627, this galaxy is being stripped of its gas by the pressure of theintracluster medium (ICM), due to its high speed traversal through the cluster, and is leaving a high density tail with large amounts of star formation. The tail features the largest amount of star formation outside of a galaxy seen so far. The galaxy has the appearance of a comet, with the head being the galaxy, and a tail of gas and stars. Comet Galaxy Sculptor interacting with a galaxy cluster Lying in galaxy cluster Abell 2667, this spiral galaxy is being tidally stripped of stars and gas through its high speed traversal through the cluster, having the appearance of a comet. 4C 37.11 230 Mpc Perseus Least separation between binary central black holes, at 24 ly (7.3 pc) OJ 287 has an inferred pair with a 12-year orbital period, and thus would be much closer than 4C 37.11’s pair. 15h 06m 36.30s+54° 02′ 20.9″ Most efficient star production Most extreme example in the list of moderate-redshift galaxies with the highest density starbursts yet observed found in the Wide-field Infrared Survey Explorer data (Diamond-Stanic et al. 2012). G350.1-0.3 Supernova remnant Due to its unusual shape, it was originally misidentified as a galaxy.